2018 was historic for the marijuana industry and marijuna stocks in general. This excitement will continue for years, as marijuana is in the early stages of a bull market that should last a decade or longer. Canada topped the headlines when it legalized recreational use in October. In the U.S., marijuana is now legal in some form in 33 of the 50 states, plus Washington, D.C. Expect that number to increase next year. Canada’s new law created enormous winners. Even with the recent selling, they are some of the best performers in the market. That’s after a nation of 36.7 million people legalized marijuana. Imagine what will happen when the U.S. — with nearly nine times that many people — follows suit! Still, we have to expect more volatility in 2019. That’s the nature of investing in early trends, especially marijuana stocks, which involve companies that are transitioning from formerly illegal products to legal. There will be more pullbacks like the one we’ve seen recently. There will also be rallies, like the one from mid-August to mid-September when a lot of marijuana stocks more than doubled. We want to own these companies through all of the ups and downs. As legalization spreads and long-term fundamentals improve, potential profits get bigger. Today, I’d like to share three marijuana stocks to buy that are some of the most well positioned in the market. 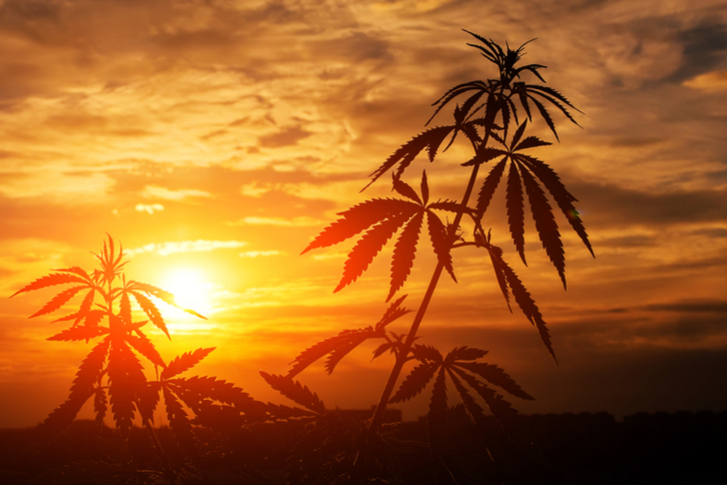 Let’s start this list of strong marijuana stocks to buy with my pick in InvestorPlace’s Best Stocks for 2019 contest — Charlotte’s Web (OTCMKTS:CWBHF). CWBHF stock is a huge beneficiary of the passage of the 2018 Farm Bill, which legalized hemp for the first time in nearly a century. Hemp is a derivative of cannabis, but there are very important differences between it and marijuana. The biggest is the amount of tetrahydrocannabinol (THC), which is the chemical compound that gets you “high.” Marijuana can contain up to 30% THC while the hemp plant has less than 0.3%. Hemp also has more cannabidiol (CBD), another chemical compound that does not have the psychoactive traits that THC does. CBD is considered one of the most beneficial compounds available to humans. 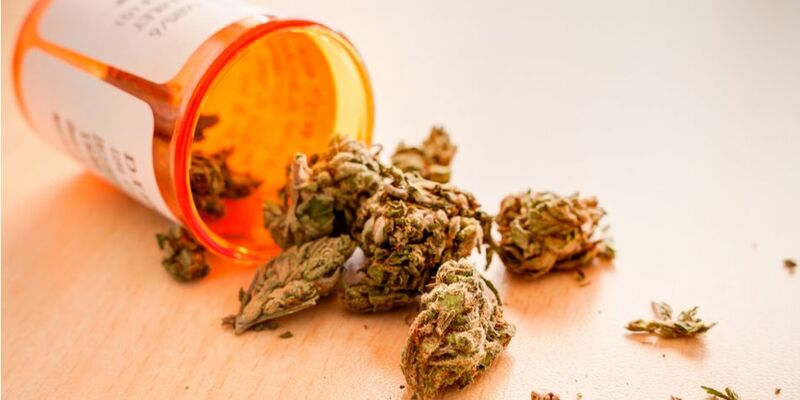 It is used to make CBD oil, which has been used by wellness and medical professionals for years as an alternative to traditional pharmaceuticals to treat everything from anxiety and depression to chronic pain to inflammation to childhood epilepsy. If it were a drug, we would call it a wonder drug. Charlotte’s Web is a leader in the hemp-derived CBD space, and as the market leader, it has the ability to scale quickly to meet the soon-to-be booming demand for products. You can learn more about the company and its upcoming catalysts by checking out this article. According to Brightfield Group, the hemp-CBD market will reach $591 million this year. By 2022, it will soar to $22 billion! CWBHF stands to capture a lot of that growth. With CBD now poised to go mainstream, the company’s profit potential is about to increase dramatically. Formerly known as Cannabis Wheaton, Auxly Cannabis Group (OTCMKTS:CBWTF) is the first streaming company in the marijuana industry. When I came across it in my research it immediately caught my attention as it bridges together two of my favorite investment trends — streaming royalty payments and marijuana. Through its investments in small marijuana-related companies, CBWTF is building a diverse portfolio that touches all levels of the industry. As an investor, you are gaining instant diversification and lowering any company-specific risk associated with investing in emerging companies. Auxly is really starting to take shape as its business model begins to pay off. For example, one of its investments — Dosecann LP, a wholly owned subsidiary of Auxly — received approval from Health Canada as a marijuana processor in late December. After reporting very little revenue last quarter, the company is projected to end fiscal 2018 with revenue of $3.18 million. Analysts expect that number to skyrocket to $121.2 million in fiscal 2019 and grow even larger to $417.2 million in fiscal 2020. There isn’t a whole lot of coverage on CBWTF, so keep in mind that futures projections are just that. However, I have been a fan of this company’s business model for some time now and all it takes is a few of its investments to take off in order to see big growth in the coming years. This marijuana stock is small compared to its peers, but the upside potential outweighs the risk at current prices. 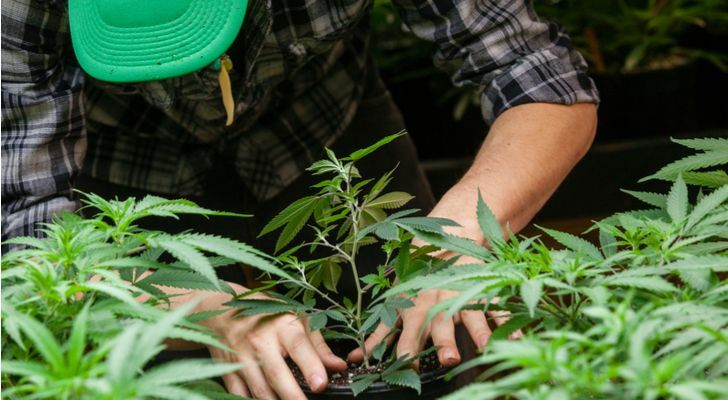 Canopy Growth (NYSE:CGC) is the world’s largest publicly traded marijuana company, and as a result, it finds itself at the forefront of the marijuana mega-trend. With the globalization of marijuana serving as a major catalyst in 2019, this is a name we certainly want to have exposure to. This company made headlines last year when it received a $4 billion investment from Constellation Brands (NYSE:STZ), the maker of Corona beer. This increased its previous 9.9% stake in CGC to 38%. The initial investment was made in 2017 and marked the first big move by a U.S.-based alcohol company into the marijuana sector. Canopy Growth has made two important announcements recently. The first was in early December when it entered the cannabis vaporizer business through a 220 Canadian dollar acquisition of Volcano Manufacturer. And following the passing of the Farm Bill, it said that it would participate in the now-legal U.S. hemp market. This could be really big for the company given its position as the current world leader in marijuana. Over the last year, this company has continued to expand into new markets and regions of the world. This is exactly what a leader should do, and CGC has the edge over its competitors to remain at the head of the pack of marijuana stocks for years to come. 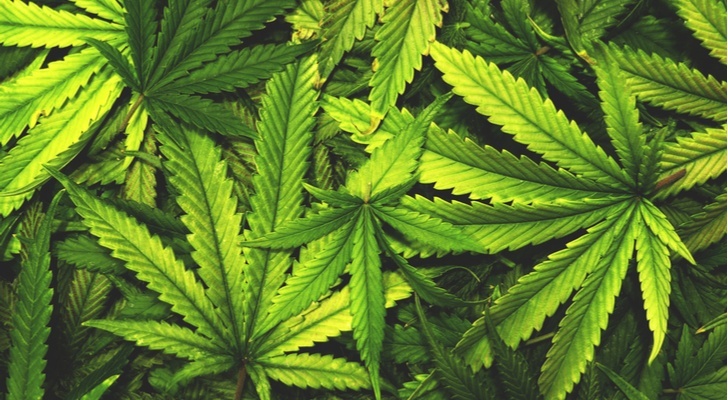 Article printed from InvestorPlace Media, https://investorplace.com/2019/01/strongest-marijuana-stocks-to-buck-short-term-paralysis/.